Another pest follow-up |Sundews Etc. So I've had a (mercifully small) problem with aphids in a couple pots lately. 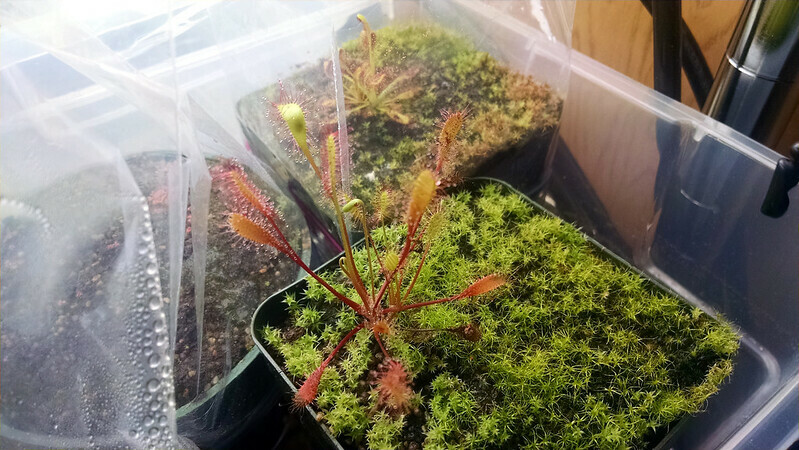 My Drosera anglica was worst hit, and my Drosera collinsae recovered quickly. 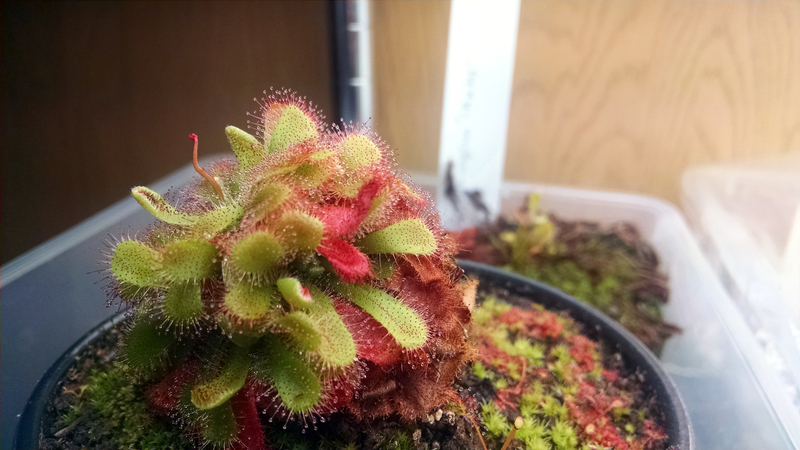 The weirdest one has been my Drosera aliciae. 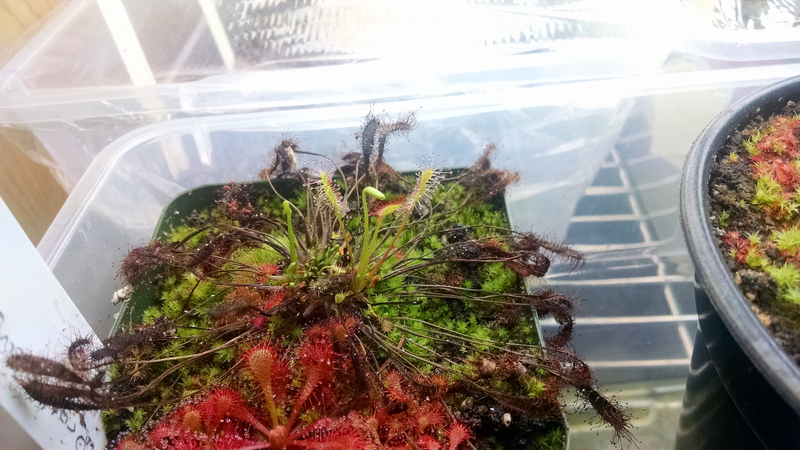 I didn't document its decline particularly well, but I stuck it in the quarantine tray some time ago, and it appears to have gotten better. I think? I never found any actual aphids on it, but it was going down in the exact same way as my D. anglica (even though they were across the room from each other). Anyway, it's flowering now, which is stupid. What a dumb little flower stalk. It also appears to have split into at least 3 growth points. It's a mess in there. Again, as with my D. anglica I'm intending to let it settle in, start growing properly again, and then repot. I'll dump all the media and wash the plant well to get rid of any residual aphids/eggs. If I get 3 plants out of it then well, all the better. Speaking of the D. anglica, there's at least one proper growth point on it again. It's heartening to see new growth at least. As you can see the original crown is a huge mess. I've got no idea how it's going to develop, but I guess we'll see. I bet it'll grow well with a bit of a feeding. 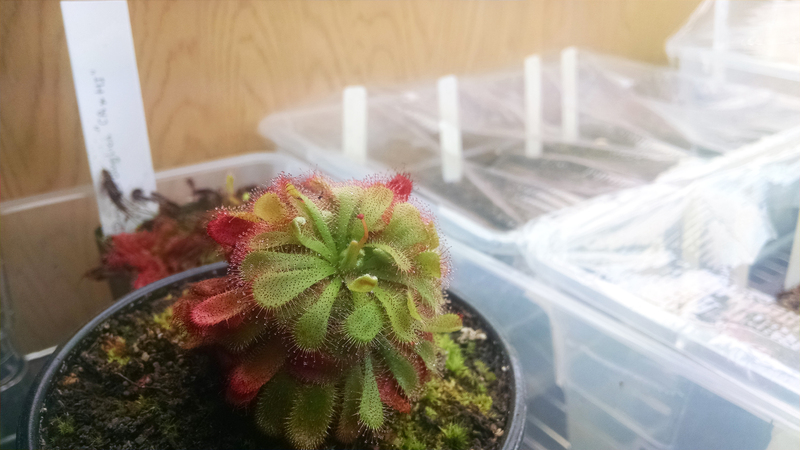 In any case, my backup plant is coloring up nicely being closer to the lights. I love how quickly this is getting red. Sure glad I have extras! In other news, check this out. The flowers are smaller than I expected. 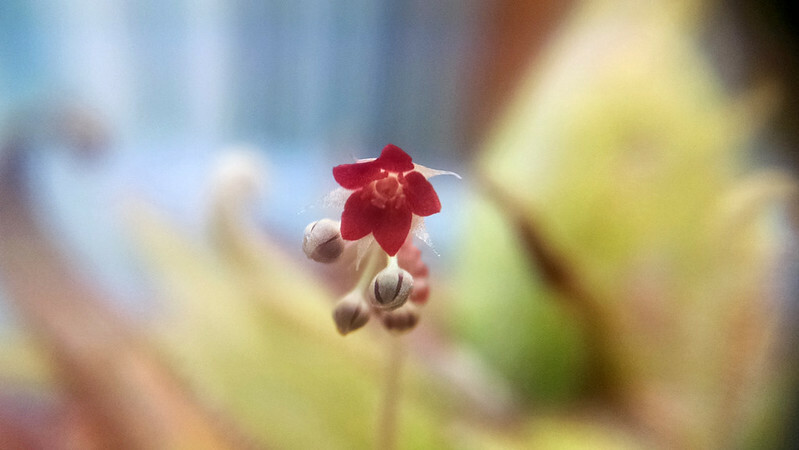 Drosera adelae flowers are really pretty. So sorry to hear about your aphid problem. I just noticed a couple fungus gnats for the first time in a long time so I'll likely be battling those little guys. Good luck! 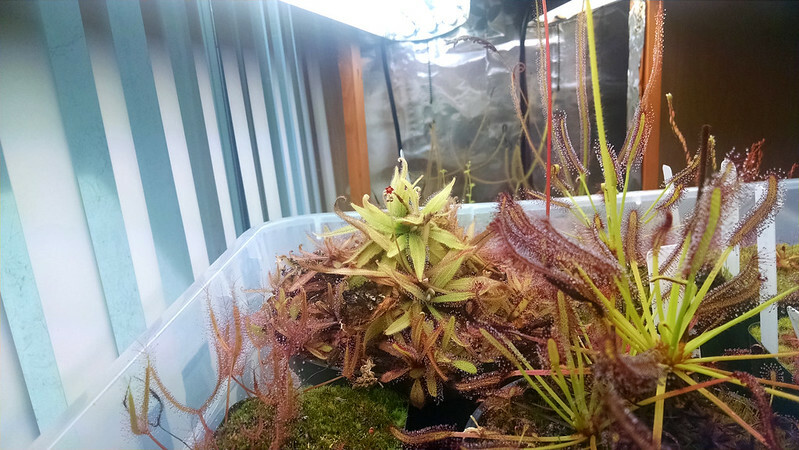 I haven't had to deal with fungus gnats in my collection yet.